Ireland’s first conference on remote work takes place September 28th, 10:00am to 4:00pm. The conference will bring remote workers together to educate, debate, and connect on a variety of subjects. Sarah Ruane, a Toptal developer, will be a featured panelist, discussing My experience of working remotely as a software developer. Sarah will share how she transitioned from traditional office-based work to working remotely, and the pros and cons. 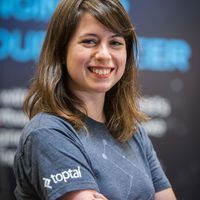 She will also talk about Toptal and the types of opportunities that Toptal offers.